According to the World Health Organization, by 2050 the world’s current urban population will nearly double, with seven out of every 10 people living in an urban area. As ubran living becomes more popular, the desire for greater access to green space has grown. In particular, the popularity of nature trails has increased -- so much so, that a 2008 study by the National Association of Home Builders found that trails were the #1 most desired amenity that home buyers sought in a new community. 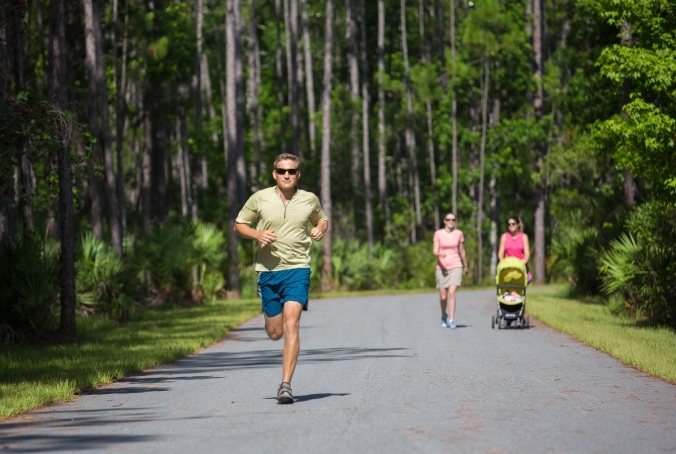 Access to trails and open space are hallmarks of master-planned communities, which have set new standards for incorporating environmental preservation into their development plans. Whereas in the past cities and towns developed in a haphazard fashion -- gobbling up precious open space one piece at a time -- master-planned communities are able to integrate nature into the community instead of encroaching upon it little by little. In addition to trails, green infrastructure elements commonly found in master-planned communities include parks and nature reserves that offer residents recreational opportunities while ensuring that such spaces are preserved for generations to come. 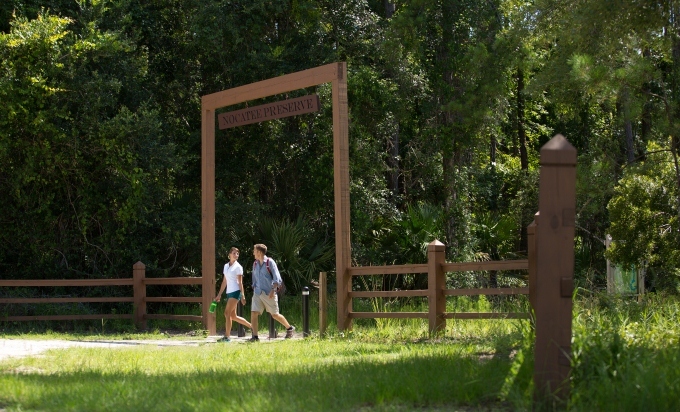 For more information on Nocatee’s Greenway Trail system, stop by the Nocatee Welcome Center or call 1-800-Nocatee.